The owner of a hyperbaric facility says he can treat up to 24 people at once for carbon monoxide poisoning, but Eastern Health says it doesn't fit the bill. 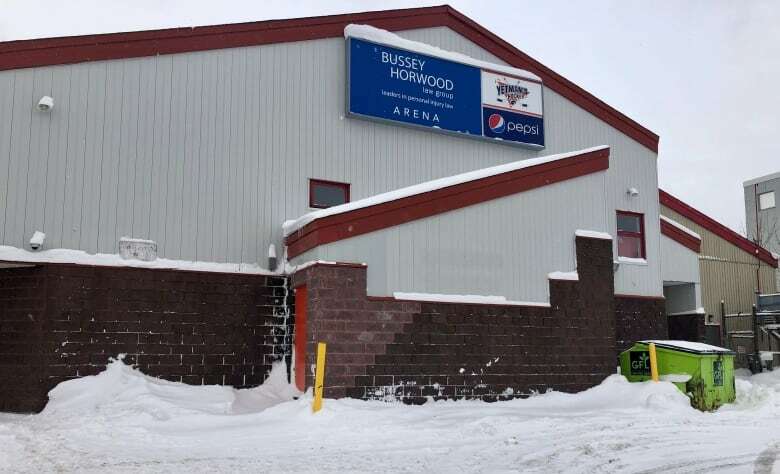 A hyperbaric chamber in St. John's, largely sitting idle, could have been used to treat more patients affected by carbon monoxide exposure at Bussey Horwood Arena, its owner says. 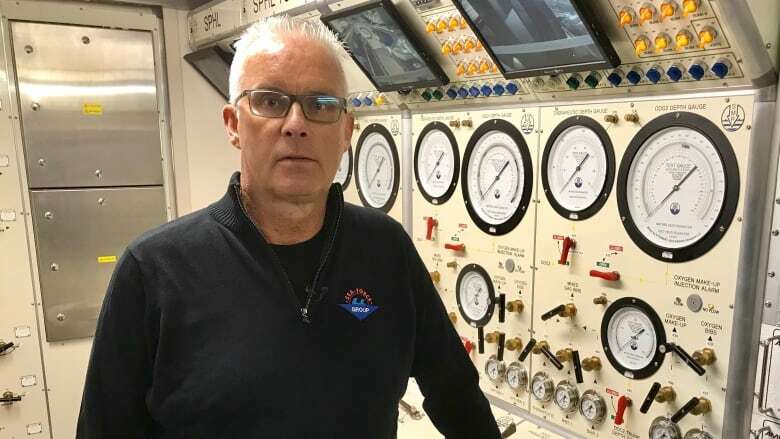 The Sea-Force Hyperbaric Facility, located next to the downtown St. John's dockyard, can treat up to 24 people at a time, Tony O'Driscoll, the facility's operations and quality health and safety manager, told The St. John's Morning Show. The facility, commissioned in 2012 and at the time the first of its kind in North America, was built to treat divers working in the offshore industry but could also be used for incidents like Friday's, to treat multiple people with carbon monoxide exposure. But in the seven years since it was commissioned, the health authority has never asked to use Sea-Force, O'Driscoll said. That's unfortunate, he said. "These types of facilities are being used in the U.K. for doing medical treatments," he said. Doctors could bring in IV fluids, and patients could be monitored by medical staff while they receive hyperbaric treatment with 100 per cent oxygen gas. The large-scale carbon monoxide exposure last week was not a common scenario — but it also could have been much more serious, said a doctor and hyperbaric medicine specialist who helped treat some of those affected. Seventy-nine people, both adults and children, went to the hospital after being exposed to carbon monoxide at the St. John's arena on Friday. "This was like a tsunami, a deluge of cases arriving at both the adult and the pediatric emergency rooms," said Dr. Ken LeDez, who works for Eastern Health. The incident led to a code orange — a mass casualty situation that calls for all hands on deck — at three of the city's hospitals on Friday night. Four patients — two adults and two children — required treatment at the hyperbaric chamber at the Health Science Centre. Most of those affected were experiencing more minor symptoms like headaches, nausea, and dizziness, LeDez said, but some were more seriously affected and required hyperbaric treatment. But with even a little bit more exposure, he said, the situation could have been much worse. 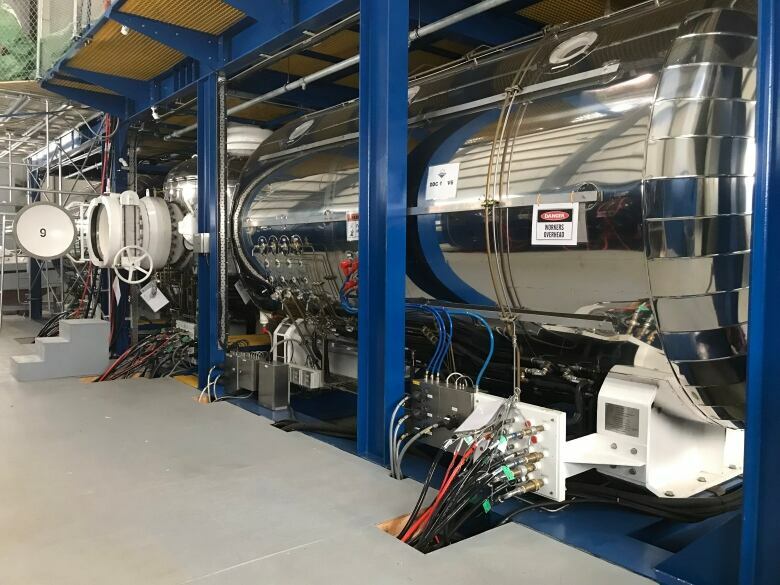 That would have stretched the capacity of the hyperbaric chamber at the Health Sciences Centre in St. John's, which can only treat two patients at a time. It leaves Jim Hynes, the managing director of Sea-Force, confused about what he sees as the government's apparent lack of interest in using Sea-Force for incidents like this. The Sea-Force facility goes unused most of the time but the $5-million hyperbaric chamber could be a boon to Eastern Health, Hynes said. "Partnering with the community is the way to go with this stuff. Take advantage of these facilities," he said. "I mean, this is worth $5 million. The government doesn't have to invest $5 million or put up a building. They can come down, put in infrastructure they need to help to do the medical portion of this, and let's go to work." However, Eastern Health said the chamber is not suitable as a medical facility. "This chamber does not meet many of the clinical criteria requirements for a medical hyperbaric chamber and is not designed for providing care or treatment to complex, critically ill and disabled patients," Eastern Health told CBC News in a statement. These treatments need to be provided in a hospital with the needed staff, and it's not practical to transfer patients to a facility like Sea-Force, which has no system for monitoring patients in the chamber and could be hard for some patients to access, Eastern Health said. 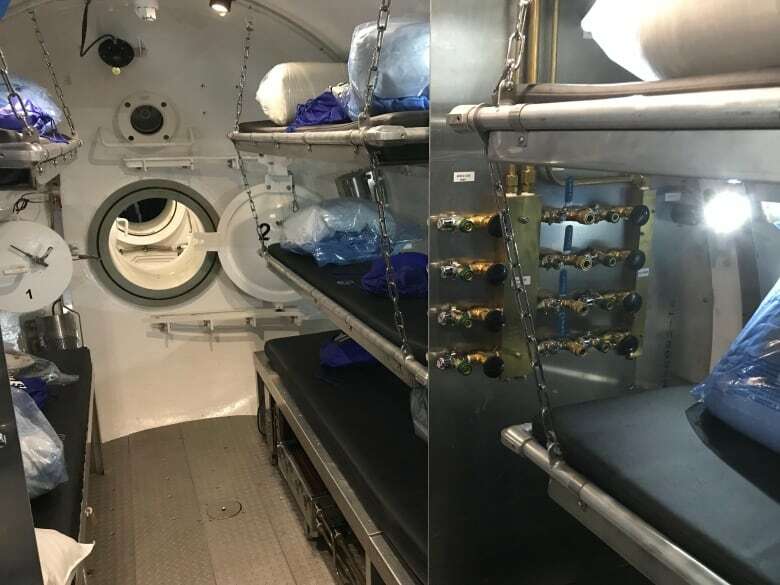 It's true the hyperbaric chamber isn't a hospital setting, Hynes said, but it does have a large capacity, and food and medical equipment can be brought in if needed. "The people of Newfoundland and Labrador have half a million dollars invested in this facility and it's sitting idle here," he said. "It's not a hospital setting, but people could take advantage of this if there's an incident like the other night, when things happen out of the ordinary." During discussion of the situation in the House of Assembly, MHA Tracey Perry asked if the government was willing to consider the use of the Sea-Force facility if needed in the future. Eastern Health staffers rose to the occasion during the code orange, said John Haggie, the province's health minister, in question period. These events are infrequent, Haggie said, and his department is talking with Eastern Health about how their requirements going forward. Eastern Health said it is currently exploring options to provide hyperbaric treatment to more patients at a time.